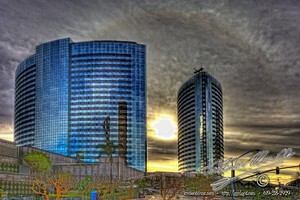 Over the past few weeks I have been in negotiation with a large company to shoot some commercial buildings. I submitted this image, along with a few others, as a sort of resume. Things were going great. I made sure my passport was in order. We were in final talks for the first shoot, and then, … nothing. … Bummer. … It was going to be a very good gig, and the work had the possibility of being amazing! I had also joined the CPS (Canon Professional Services) team to ensure that I had the best equipment for the job. This entry was posted in Building Exteriors, Purchasable - As Art Prints. Bookmark the permalink.